With over 150 attractions exhibiting and almost 600 visitors, Great For Groups: The Beautiful South has quickly established itself as one of the biggest group travel exhibitions in the South of England! Come along to Kempton Park Racecourse on Wednesday 26th April 2017 and speak to attractions old, new, big and small to get new ideas on where you can take your groups. You can find out what events the attractions have planned, and find hidden gems you didn’t even know existed. Our friendly exhibitors are all happy to take the time out to speak to you and tell you what is coming up, find out your group needs and give you new and exciting ideas on places and events you can visit with your group in 2017 onwards. As well as plenty of attractions to keep you busy there are also goodies, prize giveaways, entertainment and informative seminars. You even get a complementary lunch and refreshments package courtesy of Great for Groups: The Beautiful South!! And why not sign up to our Group Travel Surgery sponsored by Kew Gardens and in association with AGTO where you can get one on one advice from our group travel gurus! 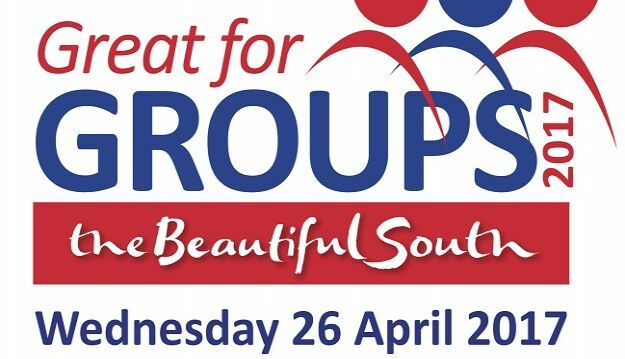 By attending Great for Groups: The Beautiful South you can speak to attractions and destinations such as Visit Greenwich, The Barber Institute, Visit Wiltshire, Fred.Olsen Cruise Lines, Historic Royal Palaces, Kew Gardens and many more! Given the title “The most friendly group travel exhibition” Everyone… exhibitors and show organisers alike are on hand to answer any questions you may have. For a guaranteed great day out, tons of information and ideas – you won’t leave empty handed or with an empty stomach, thanks to our famous complementary lunch and refreshments package! Great for Groups: The Beautiful South is the place to be to keep inspiration flowing and your group travelling! Organised by Metropolis Business Publishing, the publishers of The Pass Magazine in partnership with Tourism South East, Great for Groups is in it’s 6th year and the 2017 event is going to be the biggest and best yet.